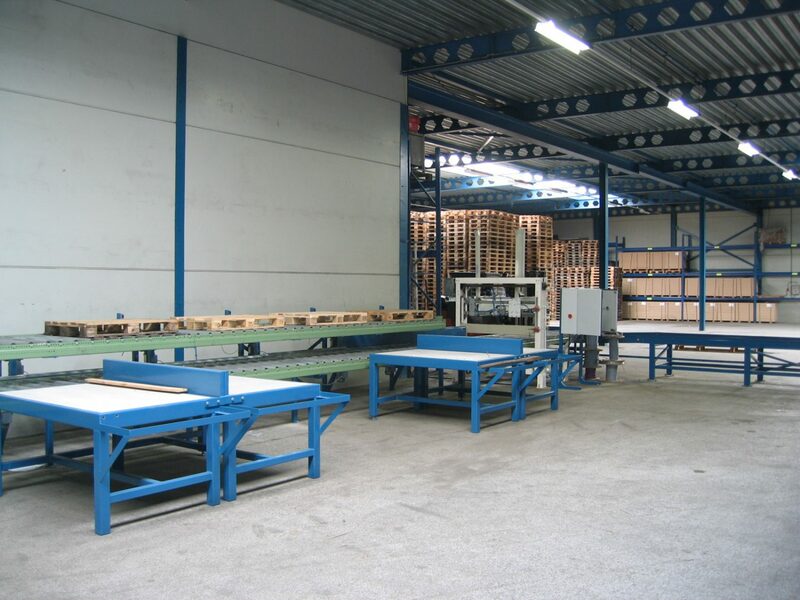 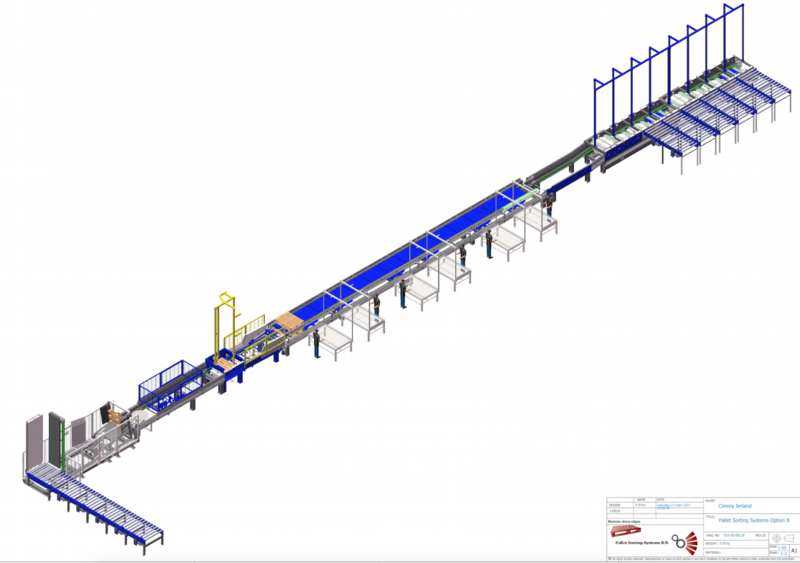 The Standard Pallet Sorting Machine can easily be extended with a Pallet Repair Line. 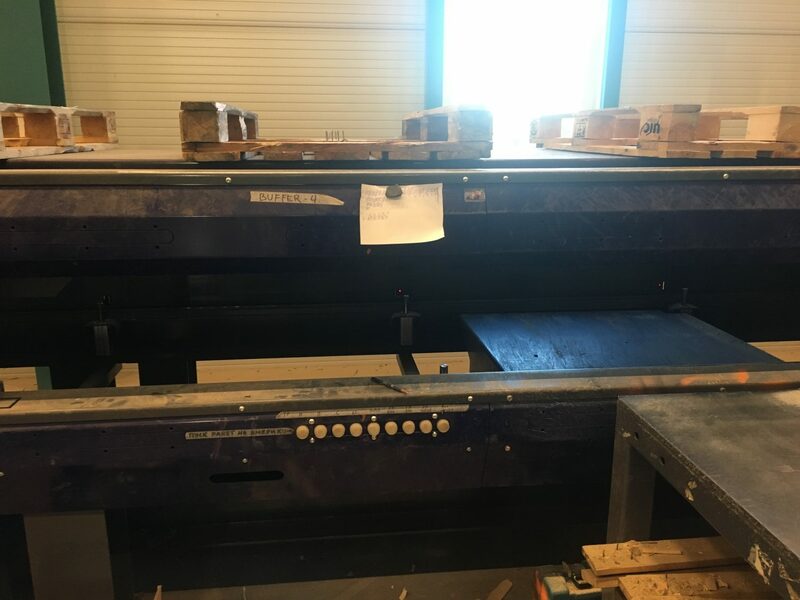 This Pallet Repair Line brings the pallets “that need to be repaired” on there deck to the Pallet Repair tables. 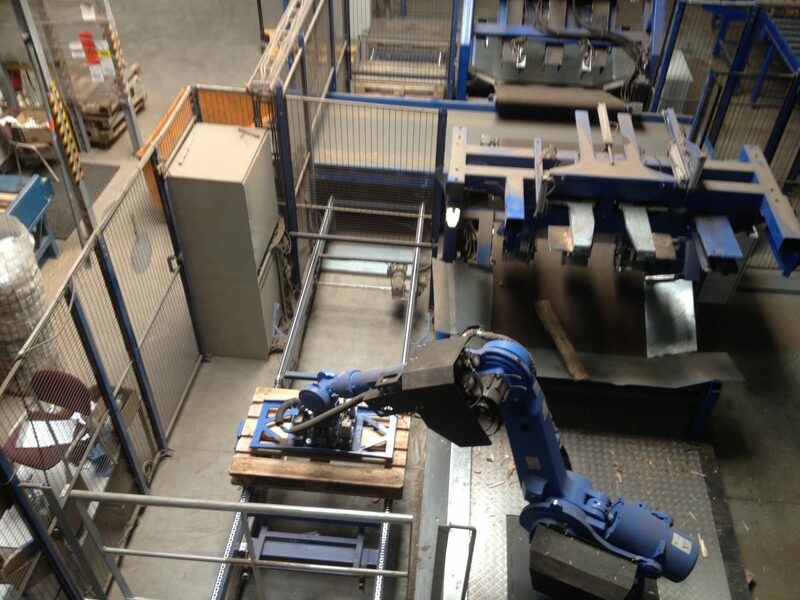 This ensures one handling less for the repair worker rotating the pallets. 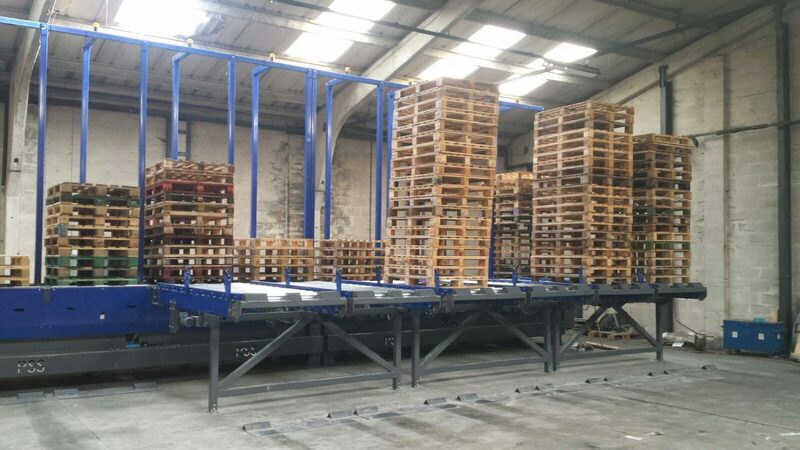 The transport of the defected pallets to the repair table and the transport of the repaired pallets is automatically done, the repair-worker can make a choice for the stackers before sending the repaired pallets to the stackers. 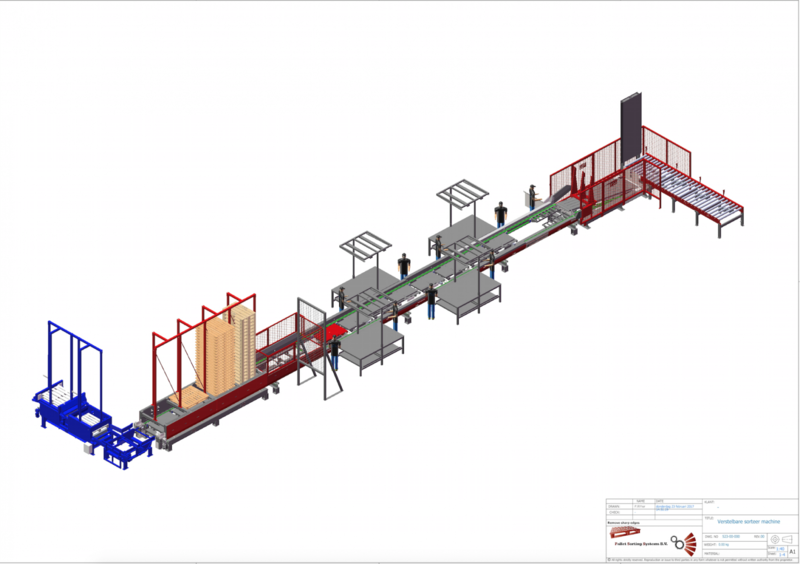 The PLC System counts the pallets that are repaired, total and individual for each repair-worker. 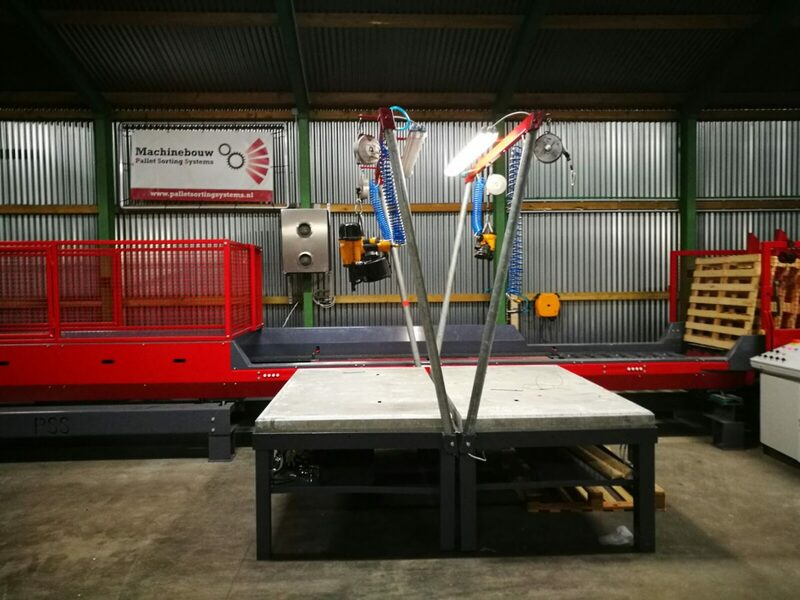 Pallet Repair Line can be placed between the Sorter/ Operator and stackers or placed behind the standard machine. 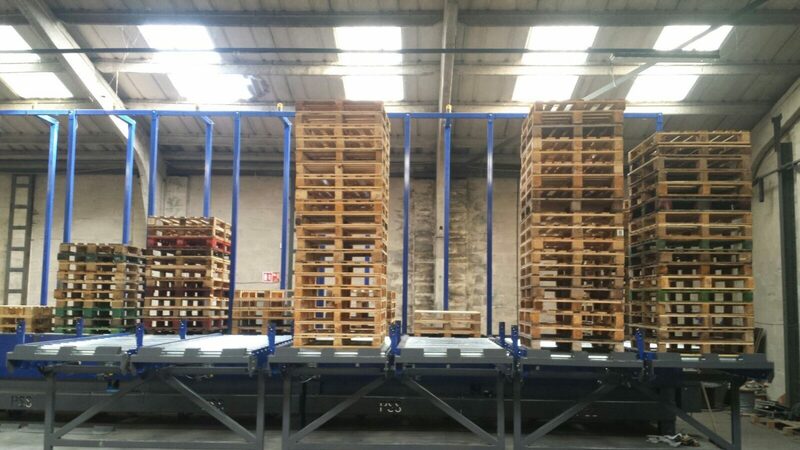 When the repair line is placed direct after the Operator, the repaired pallets can be mixed with the sorted pallets. 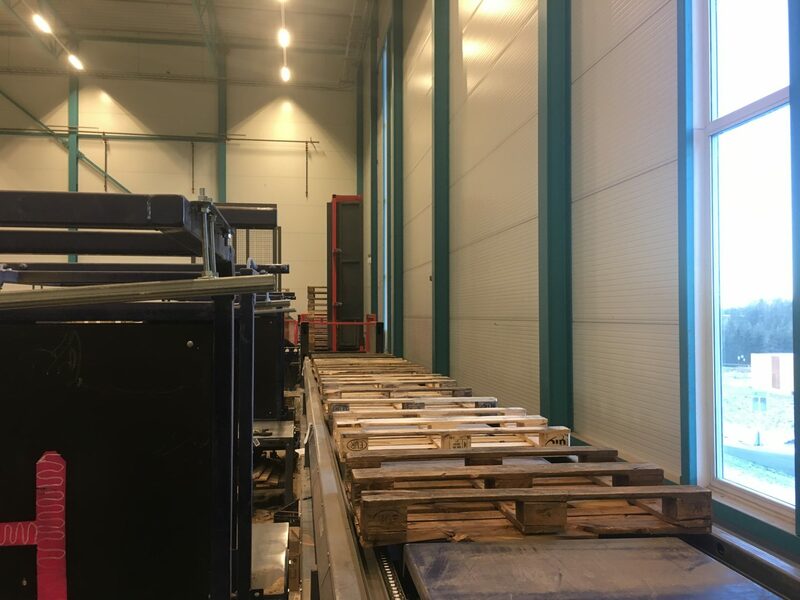 The Sorter / Operator can make a choice to send pallets direct to the repair-line, but with an overflow the defected pallets can be stored in a buffer stacker. 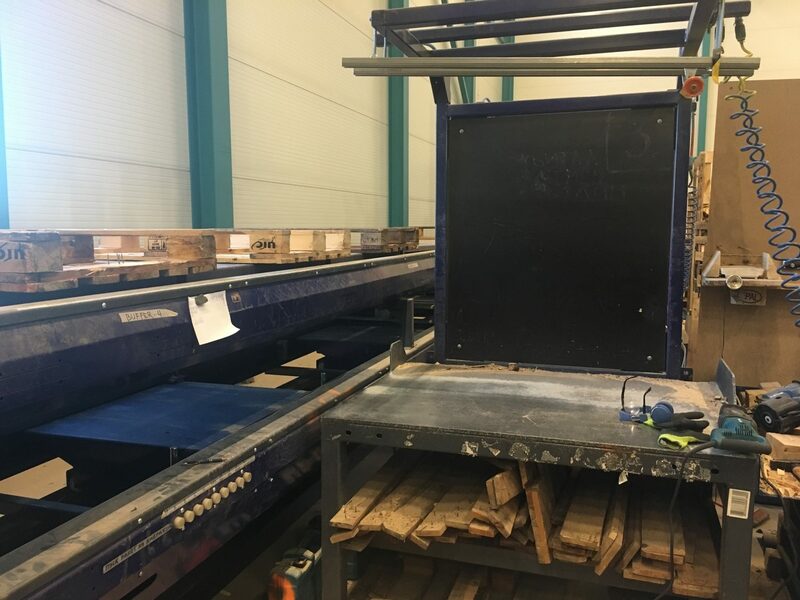 The Pallet repair workers slide the pallets on there work table from the top feed-line. 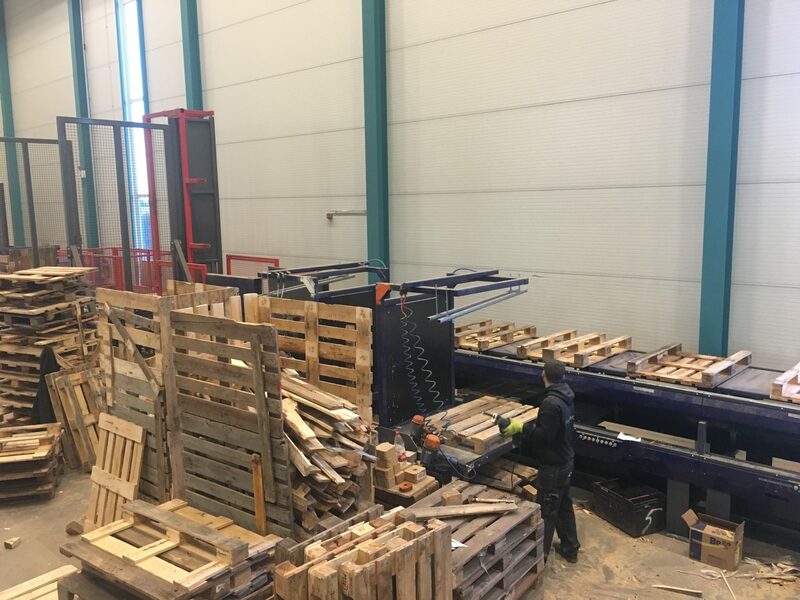 The Pallet repair workers slide the repaired pallets back in the lower placed line that is bringing the pallets to the stackers. 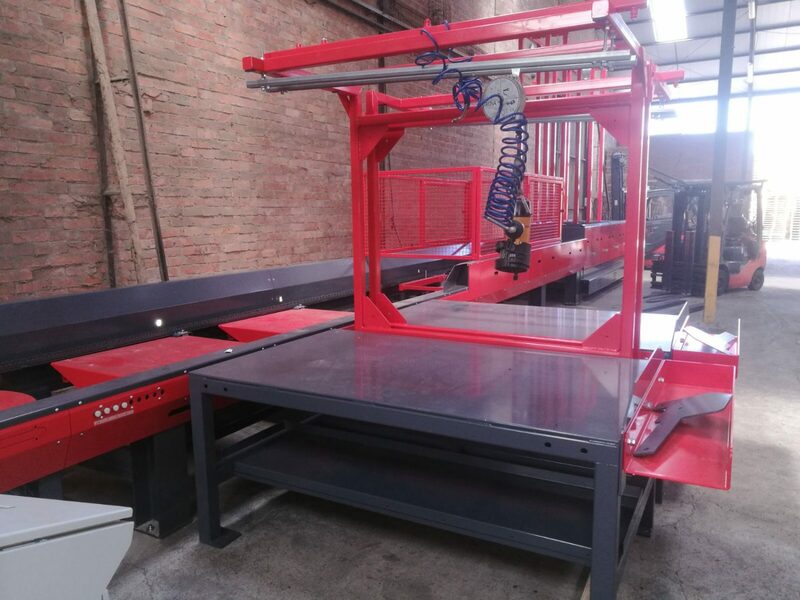 The output is increased up to 25%. 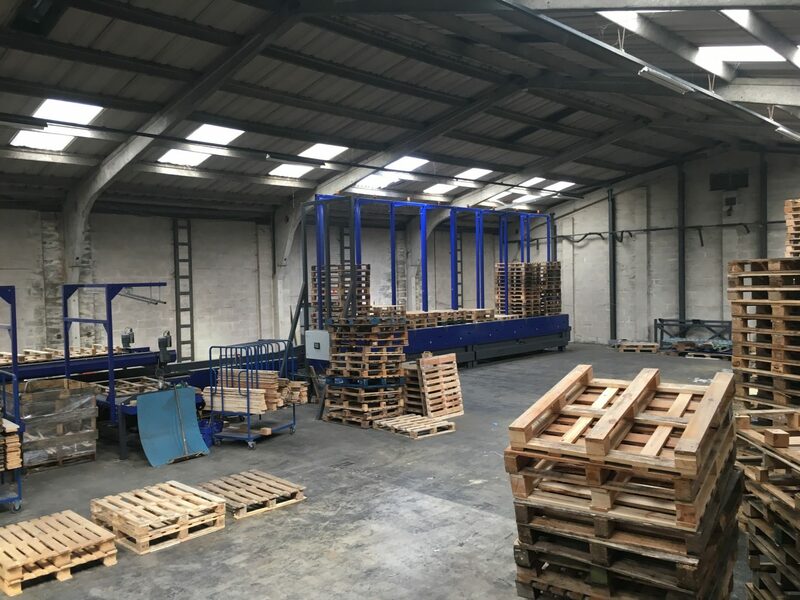 See the video of: Oliver Conroy Pallets Ltd. 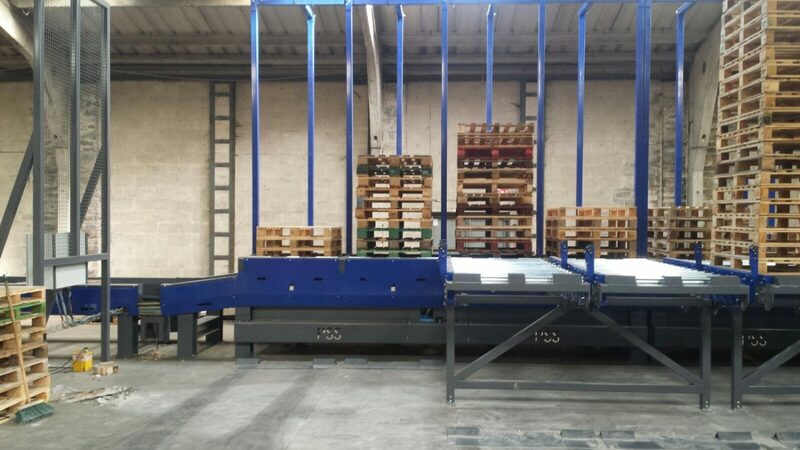 This Pallet Repair Line in combination with the Pallet Sorting Machine can be used for repairing Euro, IPP, LPR, Chep pallets and industrial pallets. 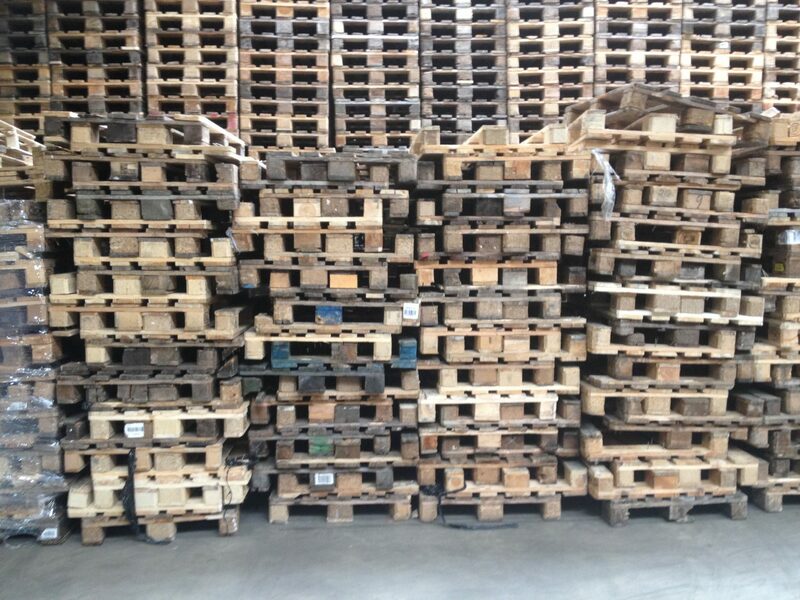 In addition of course to the single used pallets with dimensions of 800 x 1200 and 1000 x 1200. 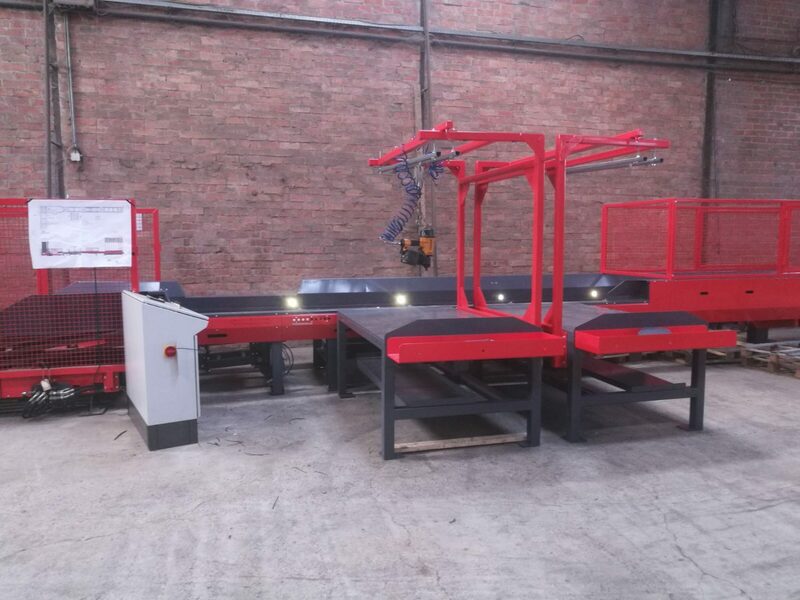 The Adjustable Pallet Sorting Machine with te pallet Repair Line between Sorter / Operator and the stackers can handle more various sorts of pallets, like the CP Pallets or 1140 x 1140 or 1000 x 1000 pallets besides the standard pallets. 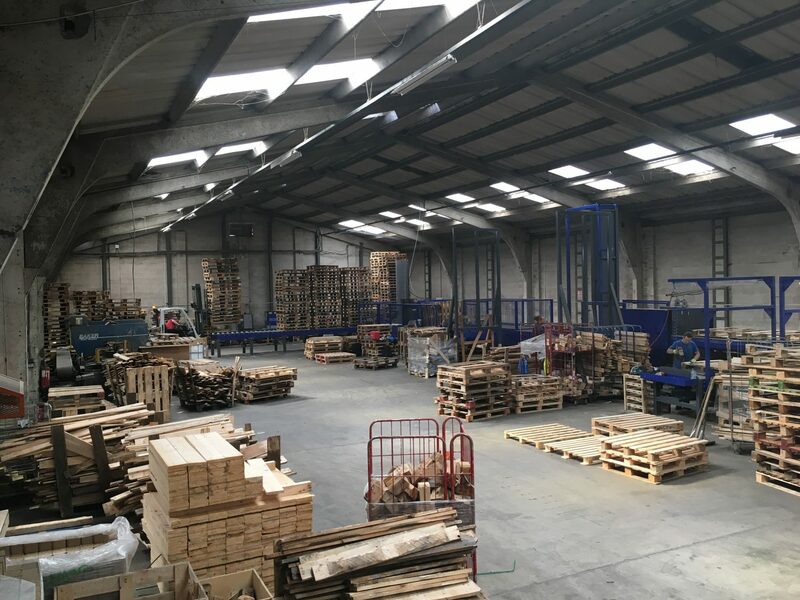 The work in the pallet industry is physically demanding and dangerous since the pallets are large, unwieldy and heavy. 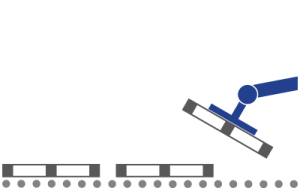 European Regulatory is clearly that people have a right on the means to ensure that they can do this work under good and safe conditions.